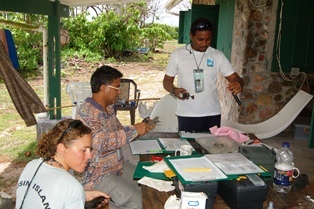 Riaz Aumeeruddy of Nature Seychelles invited me to provide a bird ringing training course on Cousin Island, Seychelles, from 18-23 September 2011. 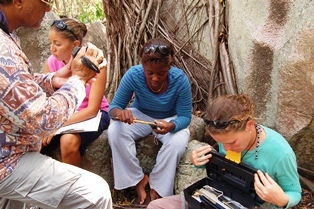 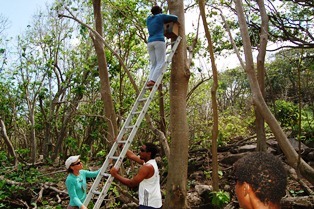 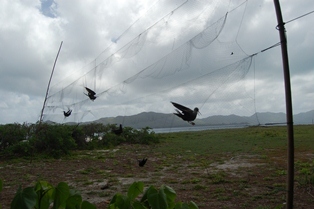 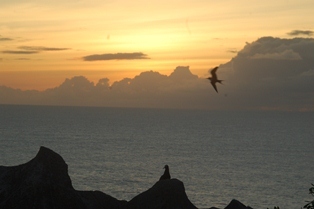 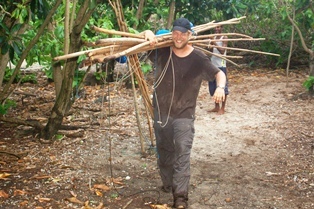 The training involved mist-netting of seabirds and land birds. 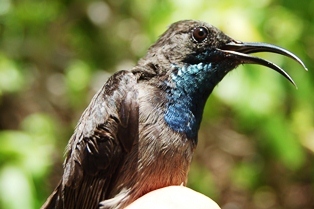 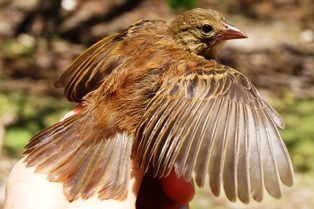 A total of 478 birds was caught (including recaptures). 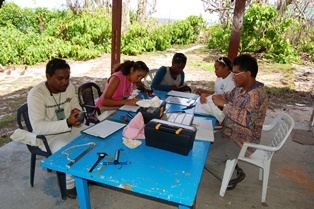 The participants were Annesa Rath, Dorothy Jeannie, Jessica Moumou, Jakawan Hoareau, Mary Ledlie, and Riaz Aumeeruddy. 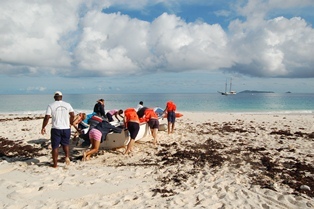 They were all awarded certificates at the end of the course. 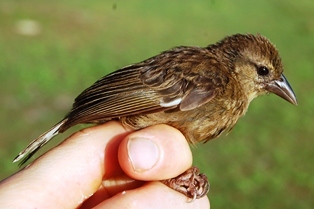 Birds caught are listed in a table below, after some photos of birds caught. 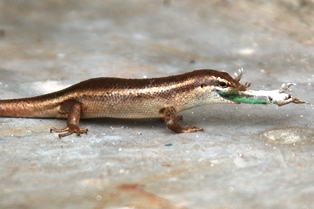 This species is easy to catch! 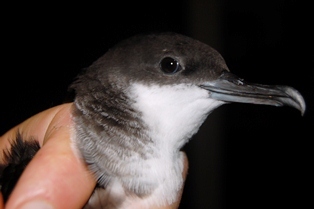 A mistnet, even in the open, will catch this species. 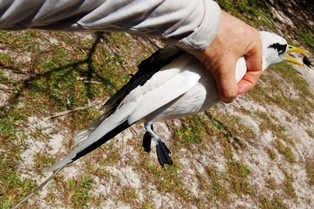 They are also easy to extract from the nest and easy to handle - the bill is not too powerful as they catch small fish. 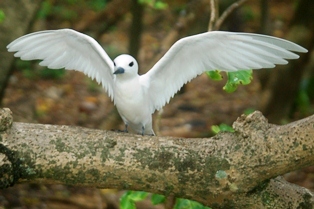 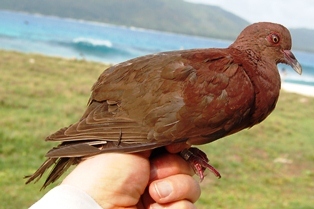 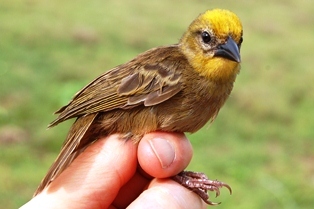 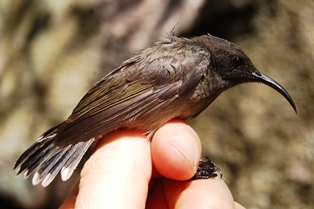 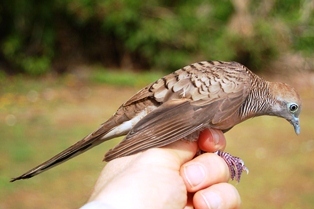 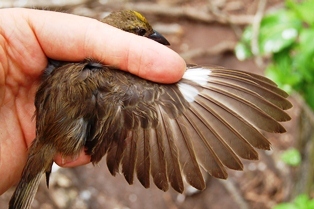 This species is the sparrow of the Seychelles, and is endemic to several small islands in the Seychelles. 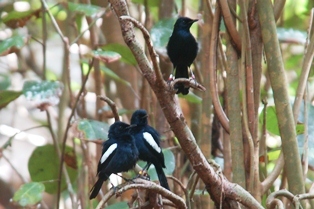 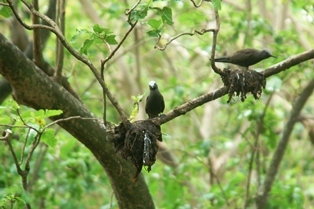 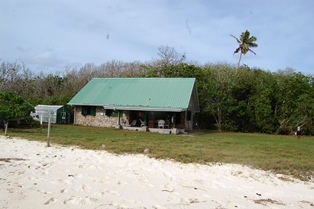 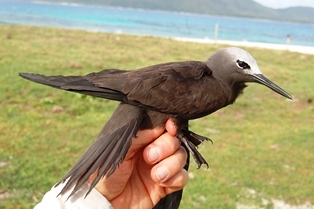 The species occurs throughout the island, and is very tame around the staff houses. 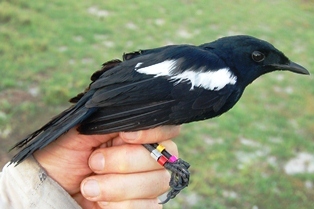 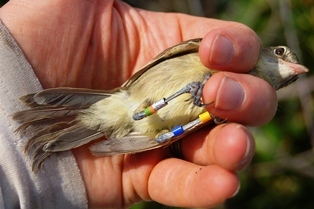 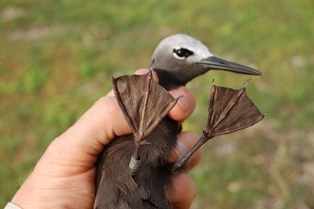 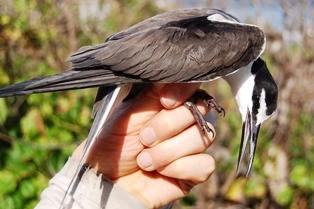 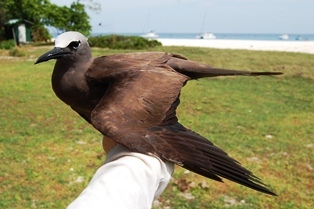 Several recaptures were made of birds ringed by PhD student L Vega in 2002, making these birds at least 9 years old - see here. 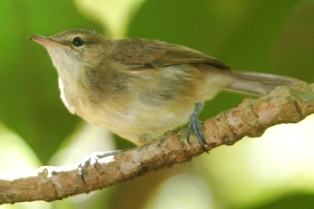 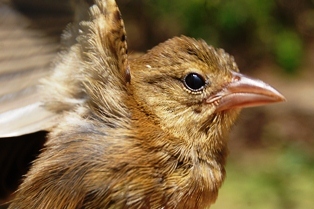 In the past two fodies occurred on the island: the Seychelles Fody, and the introduced Red Fody - the latter now only occasionally visits Cousin Island. 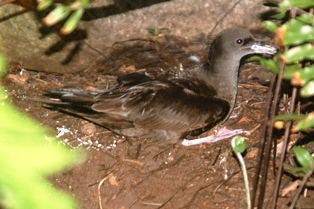 Many males, and some females, have some white primary coverts. 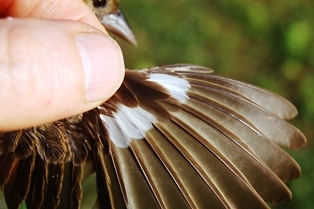 This species is easy to identify - any brown bird on Cousin with 3 colour rings is a warbler! 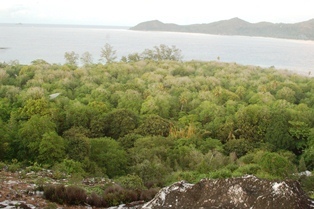 Nature Seychelles is thanked for funding my visit. 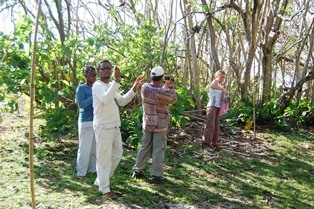 Riaz Aumeeruddy, Nature Seychelles, is thanked for organising all the logistics of my visit. 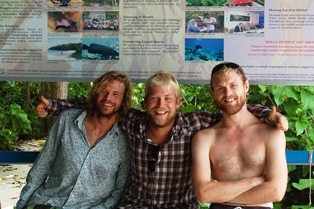 The warbler team (Martijn, Sjouke, Dave) is thanked for their help.